Hotel Delta, Berlin. Delta Hotel Berlin. 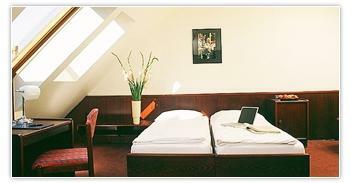 Easily accessible and located in the heart of Berlin, in a beautiful residential district the Hotel Delta is without doubt an ideal choice, perfect for any type of holiday you want to do in Berlin, whether for business or pleasure. You will be welcomed in a cozy setting with every possible modern comfort and is perfect for your relaxation and to organize events and business meetings. Start your day with a hearty breakfast. A short walk from the hotel await you in fact the main attractions of the city to be discovered in addition to the famous Potsdamer Platz and the numerous theaters and cultural centers that give life and make the world famous Berlin.